Among many frauds, scams, and hoaxes that you can come across the Internet today, one has caught the eye of the many. Binary options trading software also known as HBSwiss made its owners rich and many would be online traders poor, literally. This trading robot was made to trick you into putting a deposit on a good online trading opportunity that will bring you a lot of cash with no effort at all. So, all you have to do is click on a trade prompt and wait to get paid. And the deposit is not a small amount at all, it was about 250$ or euros, depending on the country of origin. When you create an account, this money will be taken down from your credit card by one of the unlicensed brokers who is working for an offshore company. So, not only that you already have a charge of 250$ but, you also risk to expose your personal info to the third party without your consent or permission of course. And if by any chance you even think that this might be a scam, your money withdrawal will not be possible due to the notion that your actual money is already long gone. In the worst case scenario, your whole credit will be taken down in just one transaction, leaving you in debts for no reason at all. That is the main goal and the whole point of these online trading robots. 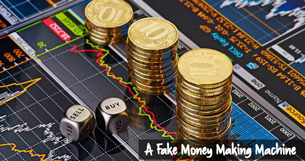 To trick you into believing that if you invest a certain amount in a good opportunity and get huge returns without any charges whereas you are actually giving them your personal data on a silver platter and just waiting to get robbed. However, the most interesting thing are fake reviews. Certain renowned sites were commissioned to write favorable reviews that will lure even more people to the scheme and lose their money. These were once trustworthy and honest review sites that were to blame for spreading the word about this scam all over the world and the Internet as well. Now, if you just type in the Google search bar the word HBSwiss, you will instantly get a lot of results with the terms like fake, scam, hoax or fraud. And if you still want to make some online cash quick and easy, find reliable sources.